Kilimanjaro Nature Tours is a brand East African, Travel Agency and Tour Operator Tanzania-East Africa. Our company is located in Arusha, the tourist city of the country. 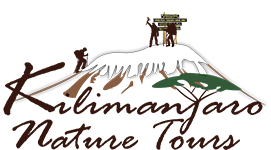 Kilimanjaro Nature Tours feels proud to provide superior service to all our customers, and we manage all services necessary to operate and organize all the packages offered, cars, minibuses, equipment, office-qualified staff, specialized assistants and guides professionals. The passion we have for Tanzania helps us to create for you some of the most memorable travel experiences of this wonderful country, which will satisfy the particular interests of each traveler. We gladly work to transform your dream vacation into an exciting reality. Whether you are looking for a trip to Tanzania that includes a hike to Mount Kilimanjaro & Mount Meru or just a relaxing family vacation, it is our mission to Kilimanjaro Nature Tours work with you to create your trip to Tanzania. We welcome all types of customers with special travel interests, economic and Premium. Our excellent service always searches at any time and satisfy all customers throughout Tanzania and East Africa. All Kilimanjaro Nature Tours packages have been prepared by our travel consultants with experience and knowledge, our company Kilimanjaro Nature Tours is based on all different categories of hotels. Our priority is to deliver absolute satisfaction to the client at any time. This is accomplished by operating as a low-cost producer, and with the help of a professional, excellent and qualified tourist guides who speak Good English language, modern and comfortable vehicles, modern communication equipment, high quality camping equipment and a good selection of hotels based on strict quality control. We know you are our reason for being here and therefore our commitment is to satisfy you and make you feel comfortable at any time or any places, there is nothing more important to us than at any time you feel proud for choosing us. Among our goals is also to minimize possible levels of solid waste generation, water pollution, fire hazards and disturbance of wildlife caused by our activities, products and / or services. Our company has experience in organizing trips to different tastes, ages and requirements, experience that distinguishes us and makes us different from others providing quality service to meet your needs for knowledge, adventure and relaxation with a trained, enthusiastic and professional staff. Our company already knows how manage customized trips to meet our customers, while they are sharing culture, adventure and relaxation in all the wonders that East Africa’s National Parks. We have the necessary experience in handling groups and we know the need for customers to know the places differently. It is the reason why the company works to meet the needs of travelers looking for new experiences.